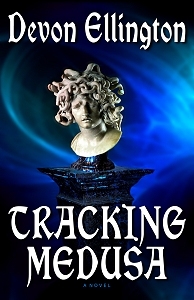 TRACKING MEDUSA has released! It’s available from Amber Quill Press here. I also set up a website for the Gwen Finnegan mysteries — I still have to upload the media kit and the photographs from the locations, but the bulk of the site is here. I hope you’ll stop by. I’m excited by this book and this release — I hope you’ll support me by buying the book. I’ve believed in this story for a long time, and glad I found the right home for it. Busy, busy, busy weekend. Friday was a busy day at the library, and a little chaotic, but everything got done. I was at the library Saturday, too, and got a LOT done, and feel like I’m where I need to be going into this week, as far as everything from the library is concerned. Over the rest of the weekend, I read, I worked on the Big Script Project, and I got some work done on both the Sparkle & Tarnish series and what used to be POWER OF WORDS series and will now be something else. I dealt with paperwork, got down the winter curtains and put up the summer curtains, did lots of laundry (still have more to do), and got the deck furniture out. Have to finish and send out Episode 107 today, work on the revisions of 105 & 106, and finish 108 to send out on Thursday. Also have errands to do in Falmouth, and it would be nice to get some yard work done. Unfortunately, I have a migraine, so I don’t know how much I can actually get done. Also frustrated because I’m stalled because people are late getting me information I need to complete a few projects. People need to stop whining about “not enough time” and start manning up to not knowing how to manage their time — and then learning how to do it. We’re getting slammed by another storm, so I’m just going to tuck inside today. Decent workday yesterday. I kind of felt like I dithered a bit, but got more done than I expected. I’m doing some research on history of police procedure, so that the Sparkle and Tarnish books have a jumping off point with what was typical and what was fresh, rooted in the reality of the time. Also compiling lists of popular authors and best sellers of the day, since literacy is such an important theme in the books. Wrote a review, polished it, and sent it off to my editor. Had mixed feelings about the book, and tried to make the review fair, praising what I felt worked, but also pointing out where I felt it went off track — but in a diplomatic way. I don’t like reading snarky reviews (even if I agree with the technical elements), and I try not to write them. If I truly despise an author’s work, I suggest that it be assigned to someone else, who will give them a fair reading. Every writer pours a lot into a book, and every book deserves a fair shot at a balanced review. There are some authors whose work I can’t stand. There are authors I don’t like personally, but like their work — again, the review has to be based on the work, not any personal bias. There are authors I like personally, but I don’t care for their work. In the best of all possible worlds, I truly enjoy the writing, and then meet the author and discover the author is as delightful as the writing. But, if at any point I’m assigned a book to review and don’t feel I can be fair, I ask the editor to reassign it. In twenty plus years of reviewing, I think that’s only happened twice. I am always grateful when someone enjoys one of my books and leaves a comment. When something doesn’t work, I am interested to know that, too, and why, provided it is presented well. If it’s just an attack, without form or substance leading back to the elements of the writing itself, it is meaningless. It’s still unpleasant, but one has to shrug and move on. Not everyone is going to like everything. Authors need room to try new things that don’t always work. If something doesn’t work, it’s helpful to get comments on what didn’t work and why. I can take useful comments and apply them to other work (provided they align with my vision or convince me to look at something in a new way), and make the next books better. It is not helpful to get attacks. There’s a huge difference, and social media doesn’t always discern between a genuine review or criticism and an attack. The people who run around attacking the books of authors they don’t like — why? If you don’t like an author or an author’s work, why are you reading it, much less reviewing it? There are thousands of books that will give you pleasure, so why read something that makes you unhappy or angry? Yes, you have to read a book thoroughly in order to be qualified to comment on it. But if one or two don’t work for you — move on. There are certain authors out there, with long, best-selling track records that attract some readers who slam a book and say, “I’ll never read anything by so-and-so again because she did THIS” and, six books later, they’ve said the same thing on every book. If you know you don’t like the author and the series, don’t read any more! Read something you LIKE! It’s unhealthy to lock oneself in a dance of negativity like that. With the lack of credential filtering on many review sites, any “reviewer” with a personal axe to grind can do so publicly and hurt the author. That’s just wrong. Also, if a review is badly written and filled with errors, I discount it. Reviewing is a particular skill. Criticism — genuine, literary criticism (which is different from “critique”) — is an art form that, sadly, is going by the wayside. Well-written literary criticism can open up a book in a whole new way, both in light of the book itself and in the context in the cannon — within the author’s body of work, within the genre, within literature as a whole. Well-written literary criticism is wonderful. Yes, some of it is nasty, which I don’t always like. But the genuine criticism, well-done, opens new vistas into a work. Okay, enough about that. Time to get a bunch of WRITING done.